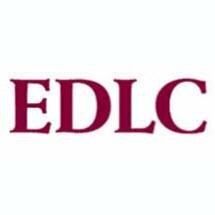 The mission of the Elder & Disability Law Center, is to provide centralized access to legal and practical resources for clients with a wide variety of Elder or Disability legal issues. Through in-depth counsel and representation, we assist families and individuals as they prepare for present and future long-term health care needs, take steps to protect assets in the event of disability or illness, and pass on assets according to their personal wishes. Contact us for a consultation today. We pride ourselves on our ability to adapt our services to the needs of each person and family. With sensitivity to those who are elderly or disabled, our lawyers have a combined 30 years of legal experience advocating for the individual or familial client who is confronting the challenges of disability, illness or planning for long-term care. We have offices in Washington, D.C., Tysons Corner, Virginia, and Bethesda, Maryland. To schedule a consultation with an experienced Elder Law attorney, contact the Elder & Disability Law Center through our Web site, by phone at 202-452-0000, or by e- mail.